Cotman Watercolours are high quality watercolours at an economical price. Really good quality watercolours. 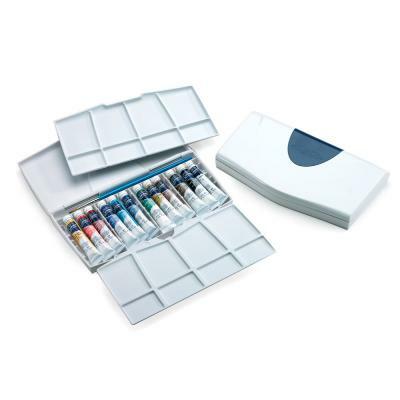 Good range of colours, and the box has a really useful palette area perfect for mixing colours. A perfect present for an art-loving friend. Great present for my Granddaughter!